Nestlé has today announced its partnership in Loop, a subscription home delivery service for foods and household goods with reusable packaging. 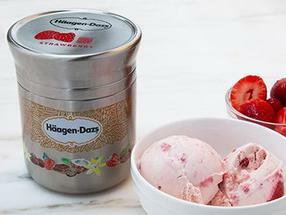 With the launch of Loop, Häagen-Dazs is debuting a reusable double-walled steel ice cream container that elevates the consumer experience and keeps the ice cream at optimal condition during transport and consumption. The canister design ensures that when opened, the ice cream melts more quickly at the top than at the bottom of the container. This allows people to enjoy every scoop in perfect condition.